When it comes to choosing the right sawmill equipment, there are likely a lot of different questions and considerations on your mind. From budget to specs to cutting capacity, there are so many various factors that can influence what type of equipment is ‘right’ for your purposes. One of the most critical questions to ask, though, is whether the mill in question is built to cut the type of wood you need to cut, in the conditions where you will be doing the milling. This kind of question is especially important to ask in Australia. Australian hardwood is not easy to cut in the best circumstances. Of course, like any other part of the world, Australia boasts many types of native hardwood varieties, each of which can be cut for a range of different applications. However, what sets Australia apart from other parts of the world is that our hardwood timbers are among the hardest on the planet. Not just any saw or sawmill can mill these timbers cleanly and satisfactorily. Australia’s harsh climate conditions don’t make matters any easier. Bottom line, if you’re shopping for sawmill equipment in Australia, you need to make sure you are getting something that is up to the challenge of milling and slabbing some of the hardest hardwood in the world. At Hardwood Mills, we are up to the challenge, and so is our equipment. We offer sawmill equipment for sale in Australia designed specifically for Australian timber and conditions. Since 2006, we have been building tough equipment to take on the challenges of Australia’s timber market. Furthermore, our team has real-world experience working in the Australian wood milling industry and dealing with the tough timbers that are native here. Where overseas manufacturers maybe don’t realise just how different cutting timber is in Australia than, say, North America, we are extremely familiar with the challenges of our continent. By designing slabbing sawmill machinery for the specific purpose of milling Australian hardwood, we provide companies in the timber milling industry with a way to do their jobs more efficiently, effectively and safely. Another factor that sets us apart from the competition is our unwavering focus on portability. We firmly believe that portable sawmills are the next major market in Australian wood milling and have already seen signs proving that we are correct. We are striving to stay at the forefront of this growing portable sawmilling industry in Australia. Not only can our sawmills cut any Australian hardwood, but they can also do it anywhere. If your company is milling hardwood in Australia, then you need a cutting machine that has been designed to counter the specific challenges of Australian hardwood. 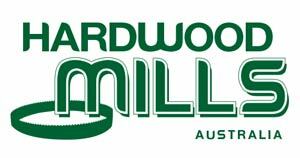 At Hardwood Mills, we are proud to say that our slabbing sawmill designs fit the bill.